“We want to live wíth you”. 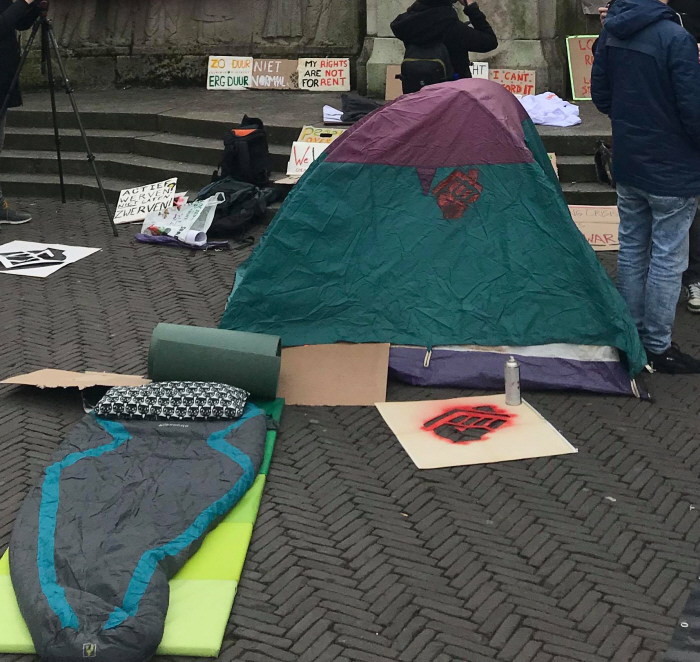 On Thursday, March 15 demonstrators from Utrecht housing action group We Want Housing (We Want Woonruimte) and Bond Precaire Woonvormen gathered at the Janskerkhof to publicly present their list of demands to the university, municipality, and housing corporation. 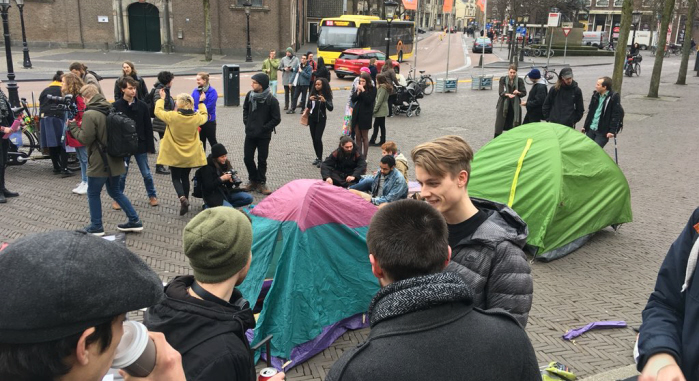 Comprised of both students and residents of Utrecht, the groups organized Thursday’s protest as a result of a housing crisis in the city that has left Dutch and international students with insufficient access to affordable housing. 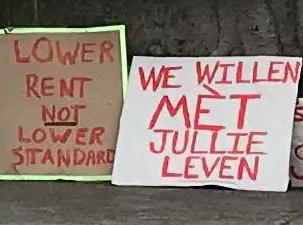 In addition to failing to provide students with adequate housing, the city, university, and housing corporation have been negligent in their responsibility to protect students from exploitative landlords and scams. 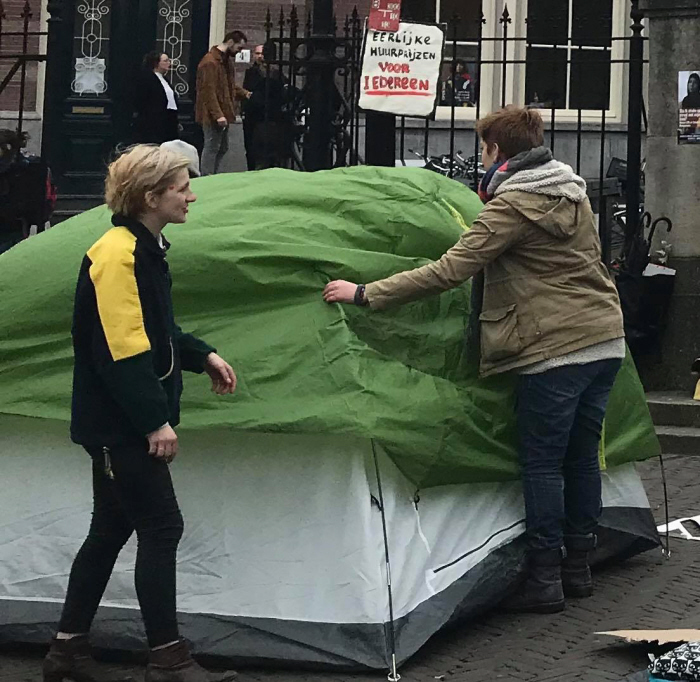 Part of a larger housing crisis within the city, the demonstration draws attention to the particular challenge faced by students, and especially international students, who are actively marketed to by Dutch universities. 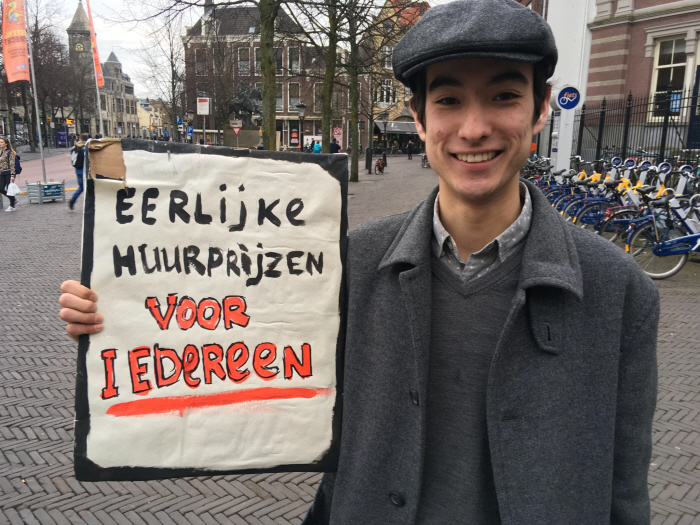 Residents of Utrecht face similar challenges, with decreasing access to affordable housing options. 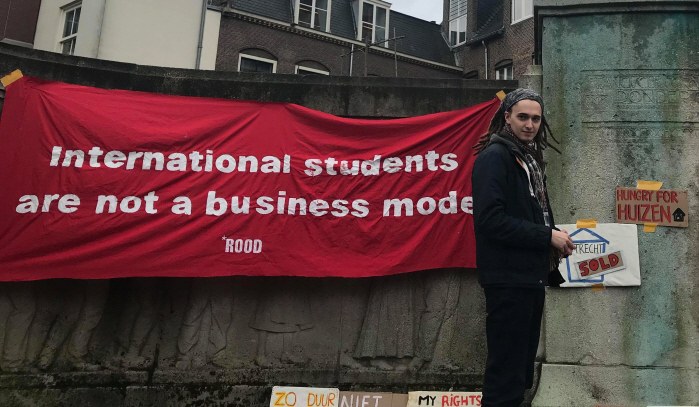 Signs at the demonstration illustrated the scope of the issue, with inscriptions such as “Lower rent not lower standards”, “International students are not a business model” and “I will live in your office”. 1. 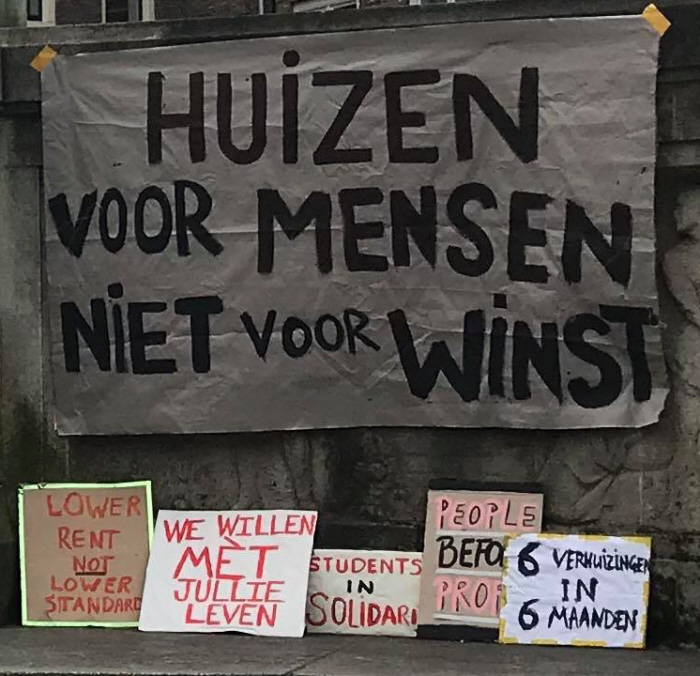 No more insane rent prices – the Huurcommissie point system must be enforced so that everyone pays a fair price. 2. 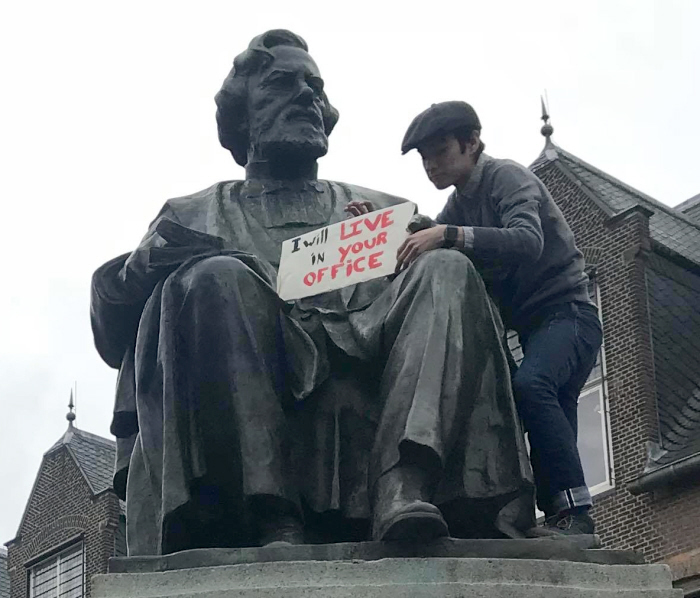 No more homeless students while buildings stay empty – use empty office spaces and buildings to house students. 3. 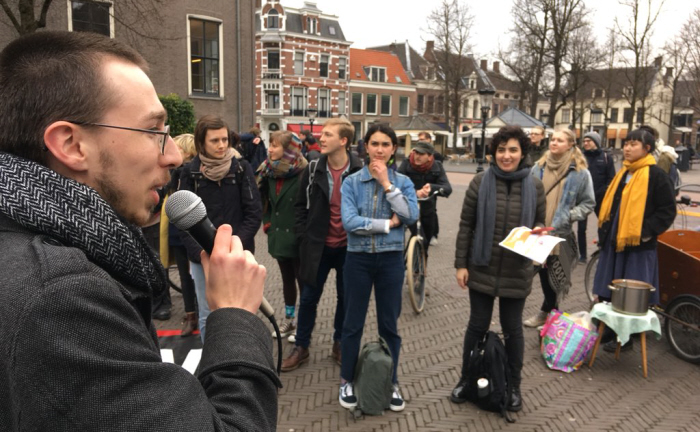 Shared responsibility – together the university, municipality and housing corporation must take immediate and active responsibility for affordable housing solutions.